There is something in all of us that loves a bargain. 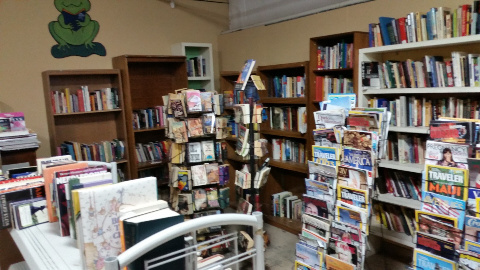 The perfect place to discover hidden treasures is at EastArk's Thrift Barn. 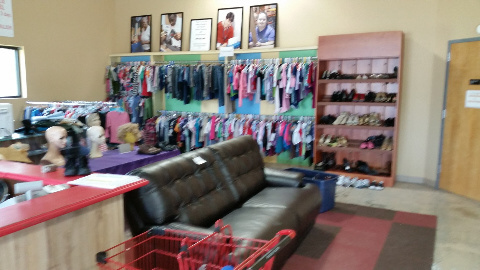 Gently used clothing for men, women and children, along with housewares, linens and furniture make shopping at the Thrift Barn a bargain hunter's dream. You'll easily find name brand clothing in a our convenient location and at a fraction of the cost you'll see in department stores. Individuals, businesses, and manufacturers donate merchandise, so you'll find that every day is a new shopping experience. With used furniture and nearly new pieces at exceptional prices, you can furnish your son's dorm room or add the finishing touch to a room in your own home. Need a "worn only once" formal for the prom or a costume for a play? Shop the Thrift Barn. Income from EastArk's Thrift Barn supports EastArk's prevocational services for adults with disabilities and assists them in becoming self-supporting citizens. So, clean out your closets! Your tax-deductible donations help EastArk Enterprises to help others. Then stop by the Thrift Barn at the Corner of Woods and Harrison for the best bargains ever! Click on the address above for a map to EastArk and The Thrift Barn.